Rather than celebrating the 10th anniversary of September 11, 2001, during this week 16 of my journal quilting project in 2011, I decided instead to celebrate the beginning of Fall. No, it wasn’t the official start of the season, but in the Berkshires in Western Mass., the leaves begin turning at the end of August each year so Fall was already well underway by mid-September. I tried a new technique for making tucks that I saw Velda Newman demonstrate on The Quilt Show and liked the results. 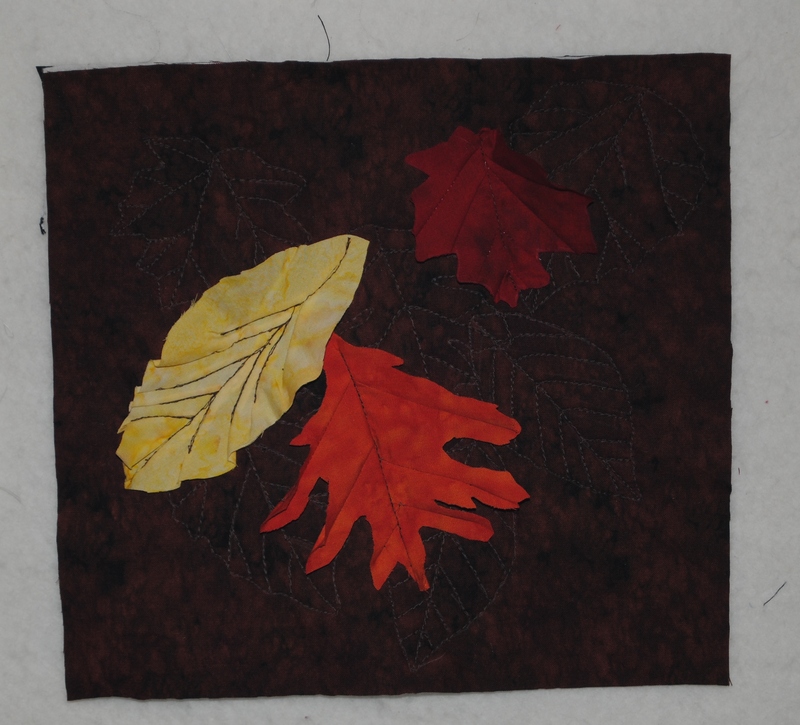 I used batiks for the leaves and left their edges raw, using the quilting lines to attach them to the quilt.